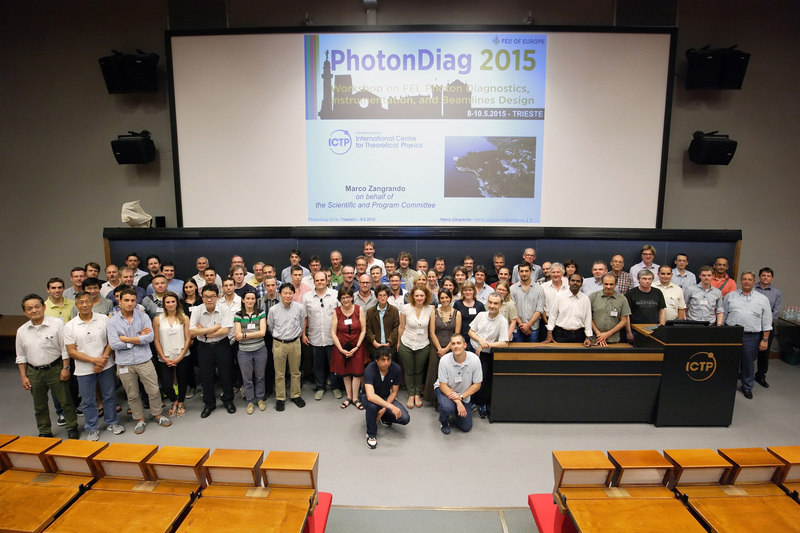 The 2nd International Workshop on FEL Photon Diagnostics, Instrumentation, and Beamlines Design was held from 8 to 10 June, 2015 at the International Centre for Theoretical Physics (ICTP) in Trieste and was attended by ~90 specialists from 12 countries. - Photon beam diagnostic techniques - measuring key properties of the FEL photon beam: intensity, pointing, position, spectral content, polarization, etc. - Time-related beam properties - temporal characterization of electron/FEL/laser beams: arrival times, pulse length & shape, timing & synchronization, stability issues. - FEL optics - challenges for ultra-short and ultra-intense pulses: fabrication and metrology - mirrors, gratings, zone plates, multilayers etc. ; photon-induced damage – theory & practical avoidance. - Photon beam transport - preserving the special properties of the FEL pulse: pulse length, spectrum, coherence, wavefront, monochromators, beam splitters, etc. - Science instruments – meeting the special demands of experiments on FEL sources: dedicated endstations, sample injection and replacement, special experimental techniques etc. - Detectors & data handling for FEL-based experiments – designs, challenges & perspectives: electron & photon detectors, shot-by-shot detection, collation of diagnostic data. 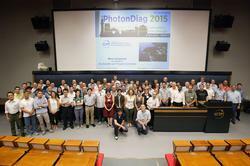 The PhotonDiag 2015 workshop followed a first one organised in 2010 at DESY (PhotonDiag 2010) and is henceforth being organised regularly every two years as an activity of the Free Electron Lasers of Europe (FELs OF EUROPE), alternating with the Science at FELs conference. The next PhotonDiag workshop will be jointly organised with colleagues from LCLS, SLAC (USA) and take place in 2017 in California (venue to be determined).